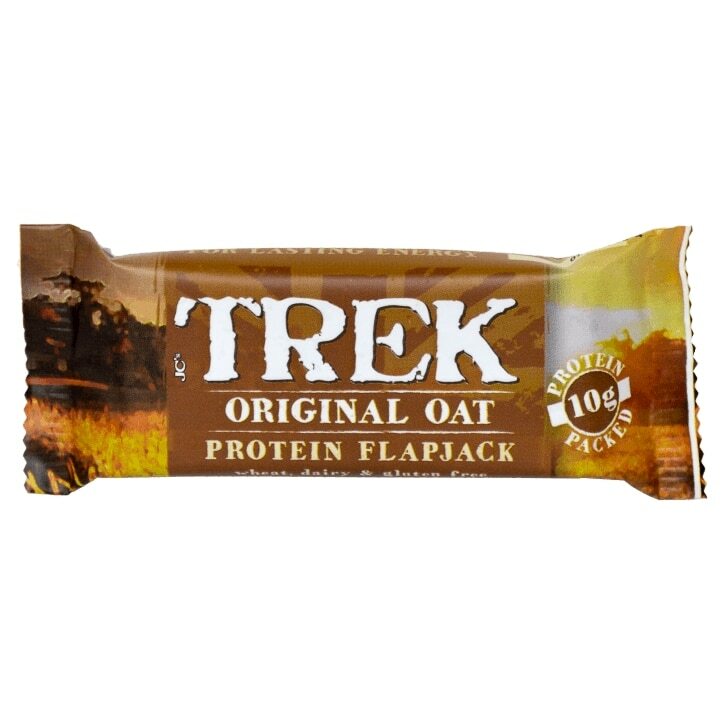 Trek Original Oat Protein Flapjack is rated 4.2 out of 5 by 9. Rated 3 out of 5 by sjk132 from Tastes nice but not sure how healthy it really is These are a nice treat and although significantly firmer than a standard flapjack, still feels like a treat. However I'm not sure how healthy these really are. Sweetness comes from rice syrup rather than natural sources and the protein source is soya, which I have doubts over. Salt content is 0.5g per bar, more than a packet of crisps and it's about 200 calories so pretty dense. HOwever they are useful for a snack after a long run and I tend to use them after a half marathon for instant carbs and protein when I've burnt off a lot of calories and need to start replenishing them quickly.